A few macro-economic indicators are showing positive signs but a complete recovery is afar. Last Diwali, high onion and sugar prices were a cause of much concern, as India battled near-double-digit inflation. The United Progressive Alliance government had explained at the time that high demand was responsible for escalating prices, especially during the festival season. This year, Prime Minister Narendra Modi is himself monitoring the prices of onion and sugar. "He personally monitors the economy very closely. Have you heard anything on sugar prices this season? High prices had almost become the norm during festivals," says a ministerial colleague. Indeed, a few macroeconomic indicators have given the National Democratic Alliance government something to cheer about. Economic growth accelerated in the first quarter of 2014/15 (April-June) to 5.7 per cent - the fastest pace in nine quarters. Inflation, too, is easing. In September, wholesale inflation eased to a five-year low of 2.38 per cent while retail inflation at 6.46 per cent fell to its lowest since January 2012. 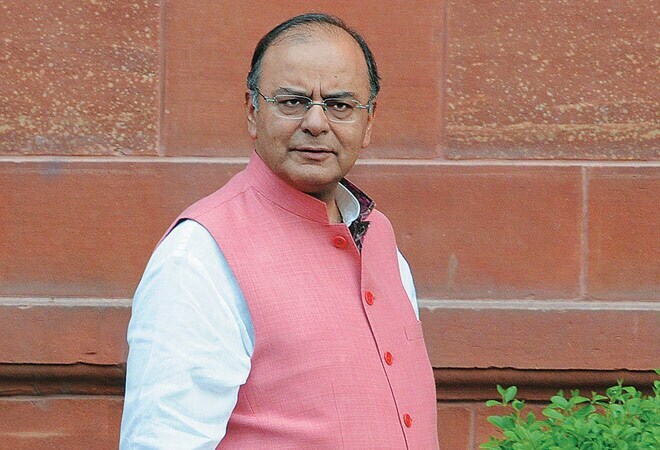 "We are committed to continuing reforms in food markets that will improve supply responses and keep inflation low and stable," Finance Minister Arun Jaitley said in a statement on October 14. Low inflation will give the Reserve Bank of India headroom to pare interest rates and boost growth. So, has the economy turned the corner? Not yet, warn economists. The growth numbers in the first quarter were a result of deferred expenditure by the government with no uptick in the investment rate. "Nothing major has happened. There is no investment in additional capacity and IIP (Index of Industrial Production) numbers do not indicate growth on a structural basis," says D.K. Srivastava, Policy Advisor, EY. Industrial output actually grew much below expectations at 0.4 per cent in July and August this year, indicating the fragility of the Indian growth story, especially disappointing at a time when a pick-up in demand around the festival season pushes up production. India's manufacturing sector activity contracted for the second consecutive month in September as both output and new orders witnessed a decline, according to the HSBC Purchasing Managers Index survey. "The biggest challenge is corporate debt-to-GDP ratio, which reached its highest levels a year or so back. There is no cash flow from projects and these problems have nothing to do with interest rates," says Samiran Chakraborty, Chief Economist, Standard Chartered Bank. Meanwhile, in the first five months (April-August) of 2014/15, the fiscal deficit has touched almost 75 per cent of the full year's target. It puts pressure on interest rates as the government will have to borrow from the financial markets to bridge the gap between revenues and spending, and deals a blow to prospects of an economic recovery. India will have to drastically shore up its capital productivity if it has to return to high growth rates, believes Ridham Desai, MD, Morgan Stanley India. "For us to be at 9 per cent [growth] we will have to take either the investment rate a lot higher or improve capital productivity significantly," sums up Desai.